A new 24.2mp APS sensor using the copper wiring structure we first heard about in the Fujifilm X-Pro2 announcement. That is what enables the 4K video capabilities of the A6300: a 1.6x crop UHD mode that reads the entire active sensor area instead of sub-sampling. Video at 4K/UHD is recorded at 100Mbps (with a UHD Class 3 card), and 1080P gains a 120 fps mode at 50Mbps. S-Log support is available. The EVF got an upgrade to 2.4m dot OLED, along with that new continuous view mode. Besides those larger changes, there are a few other modest incremental changes in the camera, though nothing I saw as being special enough to call out (see the A6300 data page for full details). What’s disturbing the Sony fans is that the A6300 didn’t provide sensor-based image stabilization. The reality of the mirrorless situation is that cameras without sensor-based IS put extreme pressure on lenses to have IS. 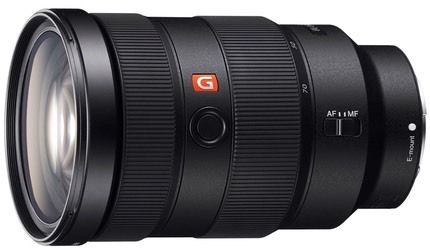 Sony already has a bit of a problem with missing E-mount IS lenses, in my opinion. Sure, the kit lenses have it, as do a couple of others, but some primes don’t, nor will you be able to stabilize adapted lenses, one of the features that Alpha users seem to like. I’d also say that the lack of touchscreen and any new direct AF sensor control is a bit of a disappointment, as well. Sony’s menus could use a touch screen to navigate through, and a touchscreen is useful for video focus, too. Plus autofocus, whether fast or not, needs user control to help the camera understand what is the subject. As usual these days there’s the “world’s fastest AF” claim in the press release. The footnote indicates this is among ILC cameras with an APS-C sensor based on Sony research. But see my previous point: it’s not necessarily how fast the autofocus is, but rather whether it is focusing on the right thing quickly. Without a fast method of putting the AF sensor at the place I want focused, the focus isn’t fast in my opinion ;~). 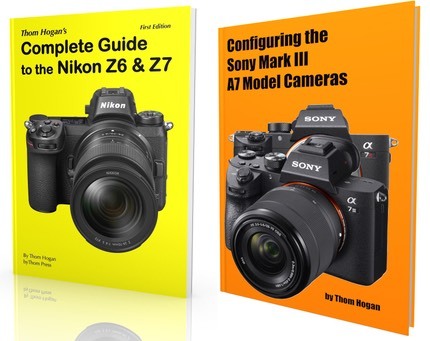 Also as far as I can tell Sony is starting to make the same crop-sensor mistake that Canon and Nikon did: low-ball the crop sensor choices, especially on lens choice. 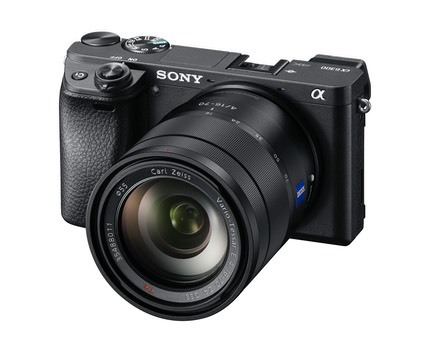 This is especially galling with the A6xxx models, as they are highly competent and very small cameras. They simply don’t have the lens support that would make them truly compelling (while still producing a small total system). The A6300 should be available in March for US$1000 (body only), or US$1150 with the 16-50mm f/3.5-5.6 kit lens. This finally breaks the f/4 zoom barrier the FE mount had, and adds another fast prime to the mix. Caution: these are big lenses. The size advantage of the A7 bodies starts to go away when we start putting f/2.8 mirrorless lenses against f/2.8 DSLR lenses. 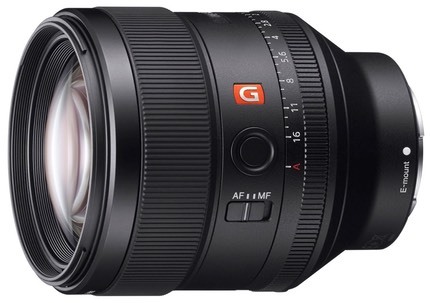 These are also expensive lenses, and the two f/2.8 zooms don’t yet have a ship date (the 85mm ships in March).